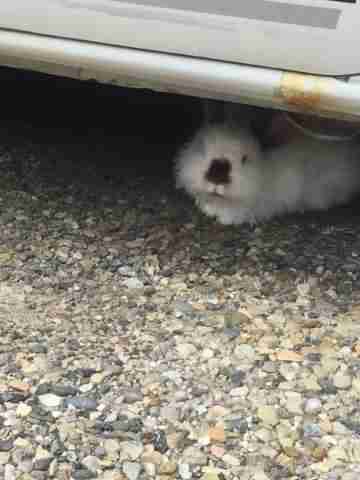 When rescuers brought out a pet carrier, he had the sweetest reaction. 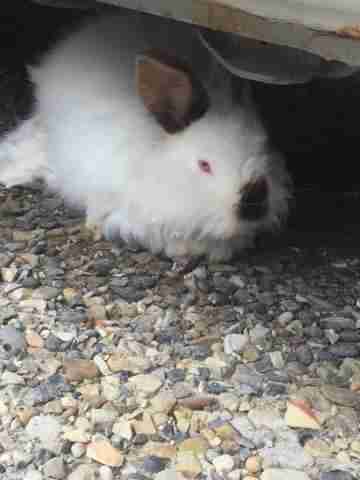 Last week, Nicole Abel walked out of her house and noticed something beneath her car. When it moved, she realized it was an animal. As Abel got into her car, the animal scurried over to her neighbor’s parking spot. 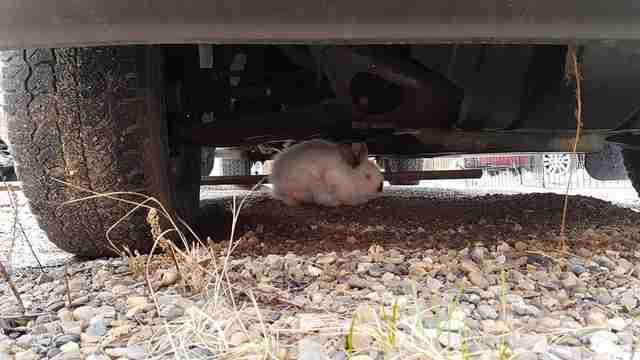 At first, Abel thought it was a jackrabbit, which are common where she lives in Calgary, Alberta, Canada. 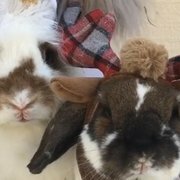 But when she looked closer, she saw that the animal was too furry to be jackrabbit. She wondered if he was a cat, but then she decided he looked like a domestic rabbit. 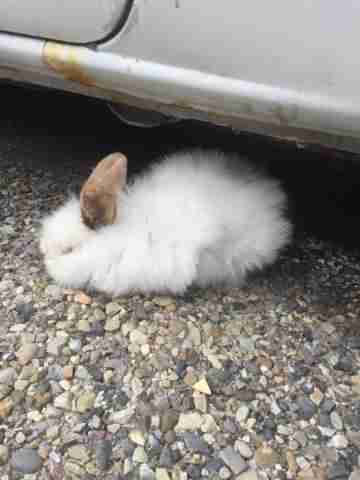 But Abel saw the rabbit again three days later — underneath her neighbor’s car, in the exact same spot. She knew then this animal wasn’t wild — he’d probably been someone’s pet. But as Abel fed the rabbit, she noticed he had a wound on his back. It looked like he’d been attacked by another animal — possibly a cat. But Abel knew she had to do more than feed the rabbit — she needed to get him somewhere safe. 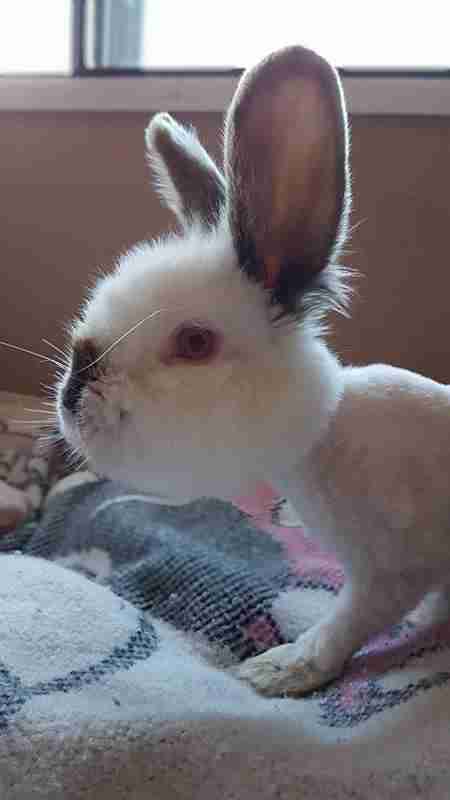 She reached out to Amanda and Rosemarie Greening at Against All Odds Rabbit Rescue (AAORR), an organization that rescues and rehomes rabbits, and they drove to Abel’s house to help. Once they were all on-site, they fenced off the area and guided the rabbit, whom they started calling Romeo, into a pet carrier. Romeo didn’t hesitate, and went straight into the carrier, according to Abel. 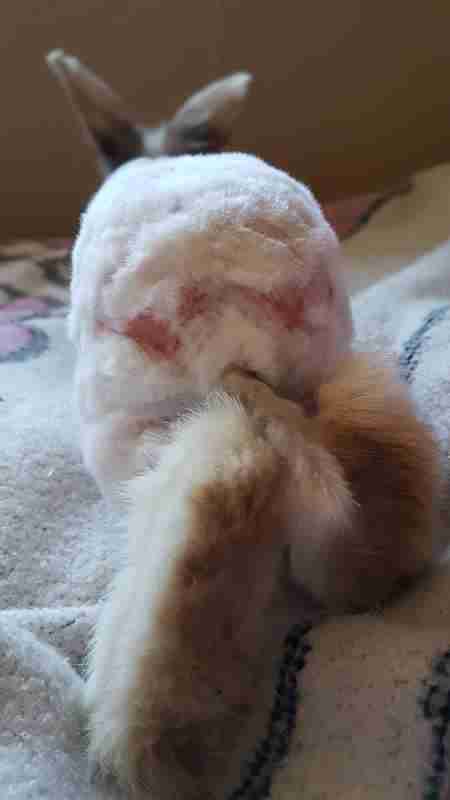 Amanda and Rosemarie took Romeo to a local vet, who treated his injuries and shaved away some of his matted fur. Then they took him back to their home, where Romeo could get lots of food, rest and attention. The Greenings believe that Romeo definitely belonged to someone, but they weren’t able to find his owner. This may not be a bad thing, as the Greenings suspect Romeo was purposely dumped. 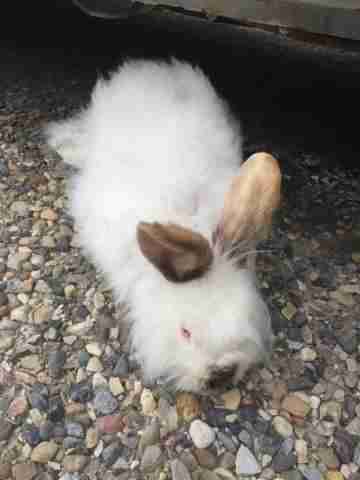 The dumping of rabbits has been a big problem in Calgary, Amanda Greening told The Dodo, but the problem is especially bad after Easter, which is the time of year when many people impulse buy rabbits as pets. “Usually it's a few months after Easter as the baby rabbits start to mature that it becomes more of a problem, but for some reason it seems to have gotten an early start this year,” Amanda Greening said. If people do get rabbits as pets, they need to provide a safe, secure environment, and keep them forever, Rosemarie Greening told The Dodo. As soon as Romeo fully recovers and is neutered, he’ll be up for adoption. And he’ll make a wonderful pet for someone, Rosemarie Greening said. 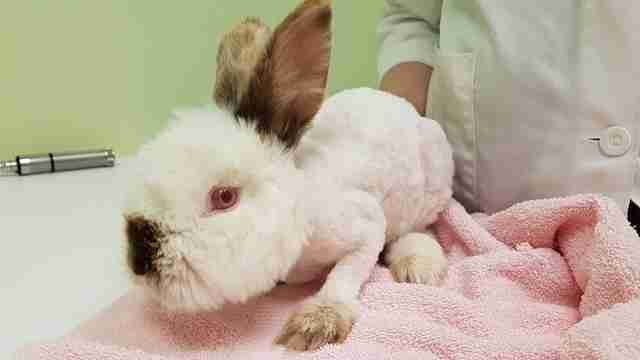 To help more dumped rabbits, you can make a donation to House Rabbit Society. 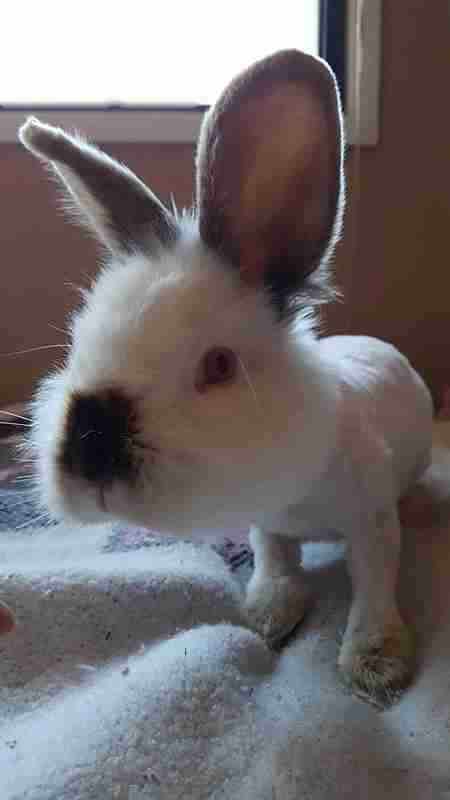 If you’re interested in adopting Romeo, or another rescued rabbit, contact AAORR.